The New York CityPASS is a real must-have if you are visiting New York for the first time. For adults, you pay around £103 and for children up to 18 years old it’s around £84. Granting you entrance to six top attractions and saving up to 40% on normal entrance rates. The New York CityPASS is easy to use and valid for 9 days, from the day of its first use. If you want to see the highlights of New York, enjoy museums and see the city from a different perspective, you should get a New York CityPASS. As the pass is valid for 9 days, you don’t need to worry about rushing around and can plan everything at your own pace. 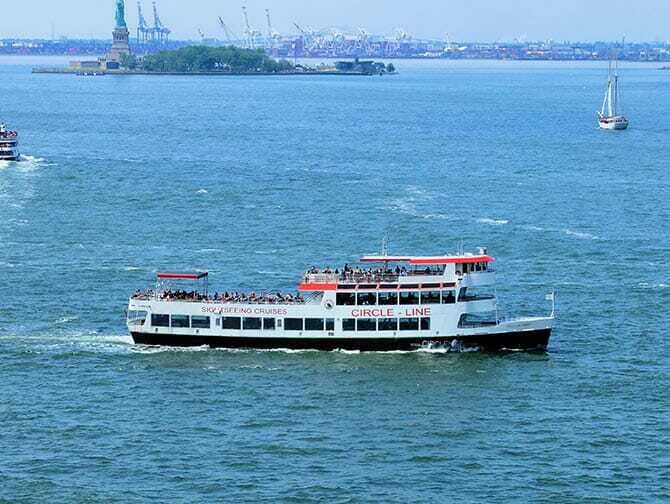 The pass gives you entrance to 6 top attractions, but even if you only visit the Empire State Building, the Top of the Rock, a museum and take one of the boat tours, you will still have saved on the normal rates. You can order the New York CityPASS safely and easily here. A voucher will then be sent to your email, that you can print out and hand over to the first attraction you visit. There, you will be given the physical pass in return. The pass is valid for 9 days, starting from the day of its first use. With the New York CityPASS, you can visit 6 attractions. As mentioned, you will have to choose between visiting the 9/11 Museum or the Intrepid Sea, Air and Space Museum. You need to also decide whether to visit the Top of the Rock or go to the Guggenheim Museum. 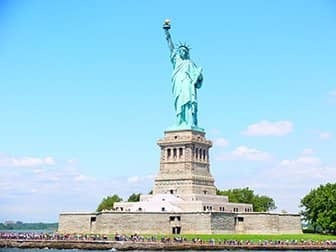 A boat tour is included but you have to make a choice between visiting the Statue of Liberty and Ellis Island or taking one of the Circle Line Cruises. The Landmark Cruise, Harbour Lights Cruise, Liberty Cruise or a ride on The BEAST are all options on the pass. 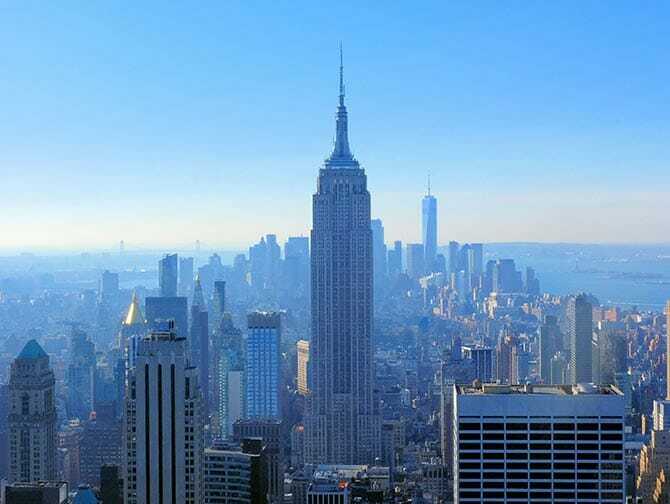 Did you know that New York CityPASS entitles you to a second, same-day visit to the Empire State Building, for free? Visit first during the day, then return, for free at night. Your second visit is permitted between May and August, from 22:00 until closing time and from September to April from 20:00 until closing time. It’s a great way to view the city during the day and also admire the beautiful night lights. 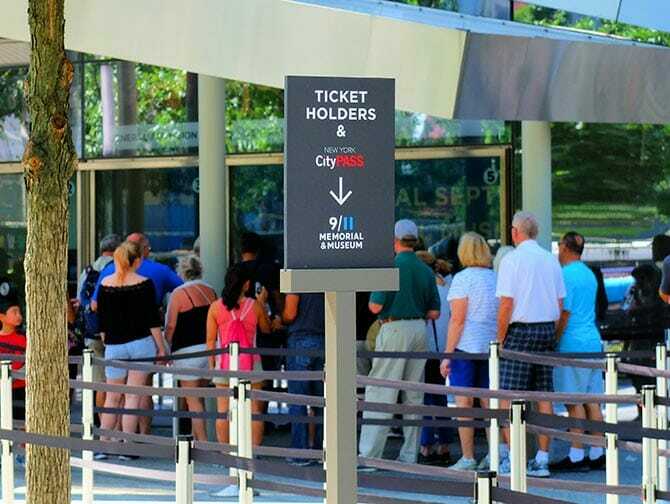 There are many more benefits of the New York CityPASS: It is possible to skip the queues at a lot of the offered attractions, by using the VIP entrances. In addition, you don’t need to reserve anything. Plus, you will receive a couple of discount coupons. 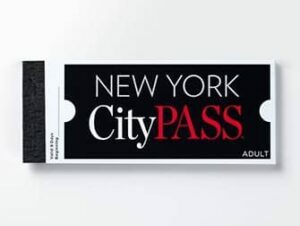 Eric’s Tip: I advise that everyone purchases the New York CityPASS if they are visiting New York for the first time. It is cheap, easy to use and because it’s valid for 9 days you can use it throughout your entire trip. Making use of the VIP queues can save time. Especially for the boat tours! The pass is cheaper than buying individual tickets, on the spot, even if you don’t like visiting museums!